DIY self-watering planters that will decorate your room, desk or windowsill! My combination of #gardening, crafts and #science. 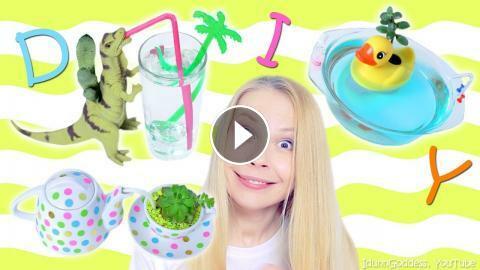 I made three scenes: DIY Drinking #Dinosaur , DIY miniature Bath with #RubberDuck and DIY Mad Tea Party from Alice in Wonderland. Make a Duck Pond Kit Kat Cake PART 2 - by Cupcake Addiction & Charli's Crafty Kitchen! How to Make Dinosaur-Themed Shower Cupcakes : Have Your Cake & Decorate It, Too!